I'm Alan Sepinwall, Author of The Revolution Was Televised. Let's Chat! We’re now joined by Alan Sepinwall, author of The Revolution Was Televised, a fantastic book about the origins of The Sopranos, The Wire, Battlestar Galactica, and other dramas that laid the ground for the current golden age of television. 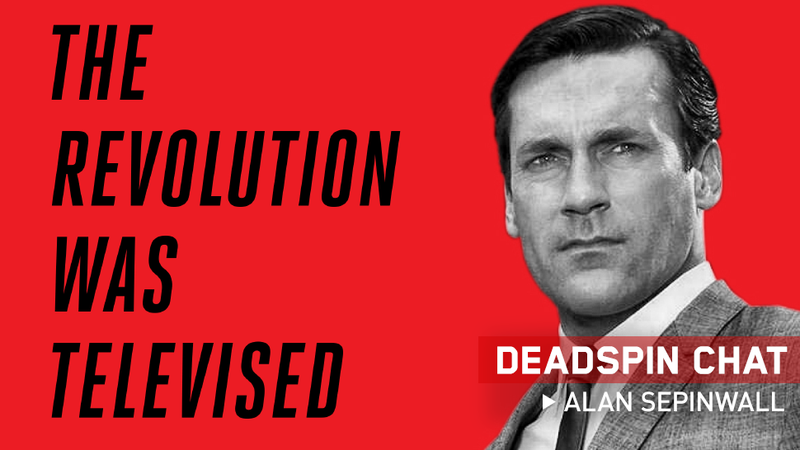 It’s now out in a new edition, featuring new material on how Mad Men and Breaking Bad ended, and Alan’s here to talk about that and anything else on your mind. You can catch him at his What’s Alan Watching? blog at Hitfix, or at alansepinwall.com. Update: Alan’s off now; thanks for stopping by.